Bring the kids along to Jackson Square and Audubon Aquarium of the Americas. There's lots more to do: learn about all things military at The National WWII Museum, stroll through Audubon Park, get to know the fascinating history of French Quarter, and take in the spiritual surroundings of St. Louis Cathedral. To see traveler tips, other places to visit, photos, and other tourist information, go to the New Orleans travel planner. London, UK to New Orleans is an approximately 13.5-hour flight. You can also do a combination of flight and car; or do a combination of flight and bus. You'll gain 6 hours traveling from London to New Orleans due to the time zone difference. While traveling from London, expect a bit warmer days and much hotter nights in New Orleans, ranging from highs of 24°C to lows of 24°C. Finish your sightseeing early on the 11th (Sat) so you can drive to Vacherie. Vacherie is a small unincorporated community in St. On the 12th (Sun), examine the collection at Whitney Plantation, steep yourself in history at Laura Plantation: Louisiana's Creole Heritage Site, then admire the landmark architecture of Oak Alley Plantation, and finally make a trip to Donaldsonvillle. For maps, other places to visit, and other tourist information, you can read our Vacherie driving holiday site . Drive from New Orleans to Vacherie in 1.5 hours. Alternatively, you can do a combination of bus and taxi. Expect somewhat warmer weather when traveling from New Orleans in May: highs in Vacherie hover around 33°C, while lows dip to 20°C. Finish your sightseeing early on the 12th (Sun) so you can drive to Lafayette. Lafayette is a city located along the Vermilion River in southwestern Louisiana. Attractions like Vermilionville and Acadian Village make great kid-friendly stops. You'll find plenty of places to visit near Lafayette: LSU Tiger Stadium (in Baton Rouge) and Nottoway Plantation (in White Castle). There's lots more to do: contemplate the waterfront views at Lake Martin, pause for some serene contemplation at St. Landry Catholic Church, identify plant and animal life at Cameron Prairie National Wildlife Refuge, and get outside with Lamson Park. To see reviews and other tourist information, go to the Lafayette trip itinerary planner . You can drive from Vacherie to Lafayette in 2 hours. Alternatively, you can take a bus; or do a combination of taxi and train. In May in Lafayette, expect temperatures between 34°C during the day and 22°C at night. Cap off your sightseeing on the 15th (Wed) early enough to travel to Austin. Bring the kids along to SeaWorld San Antonio and Natural Bridge Caverns. Venture out of the city with trips to San Antonio (The Alamo, The San Antonio River Walk, & more). Next up on the itinerary: admire the striking features of Texas State Capitol, stroll through Lady Bird Lake Hike-and-Bike Trail, admire the natural beauty at Lady Bird Johnson Wildflower Center, and stop by Central Market. To find more things to do, ratings, and tourist information, you can read our Austin route planning tool . Traveling by combination of bus and flight from Lafayette to Austin takes 4 hours. Alternatively, you can fly; or drive. In May, daily temperatures in Austin can reach 34°C, while at night they dip to 21°C. Finish your sightseeing early on the 21st (Tue) so you can travel to Monterey. Monterey is a city in the U.S. 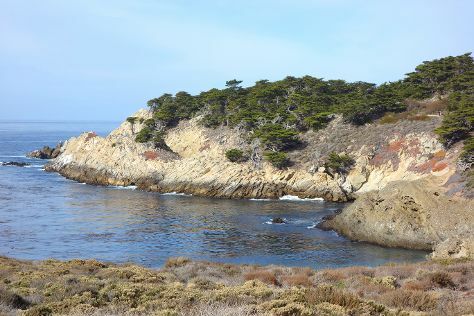 Kids will enjoy Point Lobos and Asilomar State Beach. Venture out of the city with trips to Big Sur (Point Sur State Historic Park & Pfeiffer State Beach), Dolphin & Whale Watching (in Moss Landing) and Elephant Seal Rookery (in San Simeon). There's much more to do: admire nature's wide array of creatures at Monterey Bay Aquarium, don't miss a visit to Fairy Tale Cottages of Hugh Comstock, explore and take pictures at Lovers Point, and cruise along 17-Mile Drive. To find traveler tips, ratings, reviews, and tourist information, go to the Monterey road trip planning tool . Getting from Austin to Monterey by combination of flight and shuttle takes about 8 hours. Other options: fly; or drive. You'll gain 2 hours traveling from Austin to Monterey due to the time zone difference. Traveling from Austin in May, you will find days in Monterey are colder (21°C), and nights are little chillier (12°C). Finish your sightseeing early on the 27th (Mon) so you can drive to Yosemite National Park. You'll visit kid-friendly attractions like Fishing Charters & Tours and McGurk Meadow. Spend the 3rd (Mon) exploring nature at Bridalveil Fall. 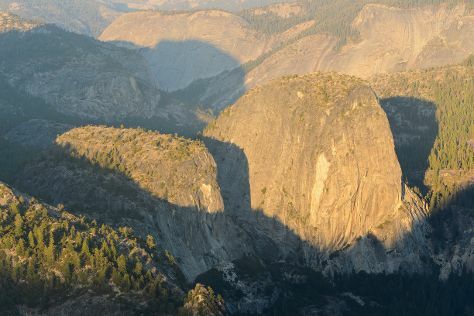 There's still lots to do: explore the striking landscape at Glacier Point, hike along Tuolumne Meadows, stroll through Mariposa Grove of Giant Sequoias, and get great views at Tunnel View. To find other places to visit, reviews, where to stay, and more tourist information, refer to the Yosemite National Park road trip planning tool . Getting from Monterey to Yosemite National Park by car takes about 4.5 hours. Other options: do a combination of shuttle, flight, and car; or do a combination of flight and car. Traveling from Monterey in May, expect slightly colder with lows of 1°C in Yosemite National Park. Finish up your sightseeing early on the 4th (Tue) so you can travel to Redwood National Park. Spend the 5th (Wed) exploring nature at Redwood National Park. There's still lots to do: enjoy the sand and surf at Enderts Beach, trek along Trillium Falls Hike, and tour the pleasant surroundings at California Coastal Trail. To find where to stay, photos, maps, and more tourist information, go to the Redwood National Park online trip itinerary builder . Explore your travel options from Yosemite National Park to Redwood National Park with the Route module. While traveling from Yosemite National Park, expect little chillier days and a bit warmer nights in Redwood National Park, ranging from highs of 20°C to lows of 11°C. Finish your sightseeing early on the 7th (Fri) to allow enough time to travel to Seattle. Kids will appreciate attractions like Space Needle and The Museum of Flight. Get out of town with these interesting Seattle side-trips: Imagine Children's Museum (in Everett) and Tacoma (Washington State History Museum & Point Defiance Park). Dedicate the 11th (Tue) to wine at some of the top wineries in the area. There's much more to do: take a stroll through Pike Place Market, explore and take pictures at Safeco Field, admire the masterpieces at Seattle Art Museum, and admire nature's wide array of creatures at Seattle Aquarium. To find reviews, photos, and other tourist information, read Seattle trip maker site . Explore your travel options from Redwood National Park to Seattle with the Route module. Prepare for a bit warmer weather when traveling from Redwood National Park in June: high temperatures in Seattle hover around 27°C and lows are around 16°C. Finish your sightseeing early on the 14th (Fri) to allow enough time to travel back home.